NGames have revealed the winners of the DDTank World Championship, bringing the 2-month long championship to an end in China Joy, Shanghai. 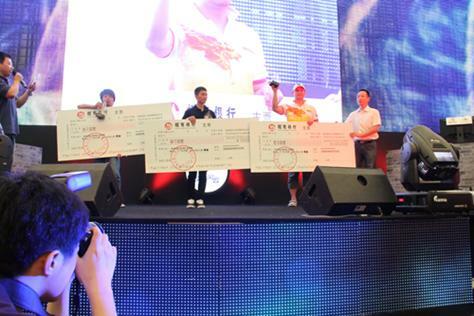 On July 31st at 3:34PM (GMT+8), after 112 intense battles and 4 days of fierce confrontation, the winners of the 2011 DDTank World Championship were finally announced in China Joy, Shanghai. The 2-month long DDTank competition saw thousands of e-sports fans from around the world battle against each other for supremacy, hoping to be crowned the best player of the browser-based shooter. Available through the NGames operated Game 321 portal, DDTank is a casual turn-based artillery game featuring over-the-top weaponary and humorous gameplay. 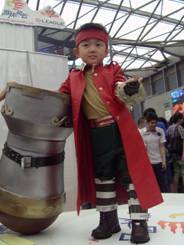 The free-to-play game is famed for its broad appeal, with the mix of cute graphics and skillful contests loved by males and females of all ages. The DDTank World Championship adhered to the e-sports principle of “Passion, Glory, Dream”, mixing entertainment with competition to provide the ultimate gaming experience for its players. The Championship came to it's thrilling conclusion in China Joy, Shanghai, at an official event that celebrated the game and its dedicated player-base. 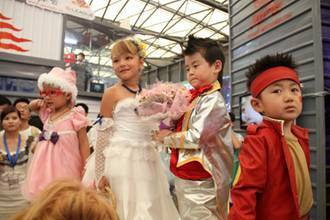 The event was packed with fans of DDTank, as well as adult and child models donning costumes to play characters from the game. NGames are proud to congratulate Nguyễn Hoàng Khuê, who represented the Game 321 portal at the championship event and came an impressive third in the 1v1 match ups. Well known on the Shadow Castle server of DDTank, Vietnamese-born Khue endured 4-long days of competition before taking the third place spot. DD Tank was the first Q-version casual browser game to didn't require a download. Naval-warfare strategy MMO, Navy Force will be the fifth title available under their “Game 321” brand, adding to an impressive catalogue of games that already contains Fairy Story Online, DD Tank, Caesary and this years hit release, Pockie Ninja.